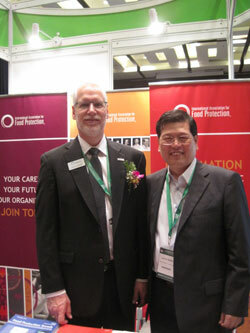 Taiwan Association for Food Protection (TAFP) visited China International Food Safety & Quality (CIFSQ) Conference to promote the 3rd Asia Pacific International Conference on Food Safety in 2013. It is an honor for me and on behalf of the Taiwan Association for Food Protection and International Association for Food Protection to welcome you to Taipei, Taiwan for the 3rd Asia Pacific International Conference on Food Safety. The congress will take place from October 29 to November 1 in 2013 in National Taiwan University Hospital International Convention Center in our wonderful city of Taipei. A fantastic scientific agenda has been developed by the programme committee with a superb range of symposia, plenary lectures, poster communications and social networking. The four-day conference is expected to provide a platform for food safety and connect us through the latest scientific and industrial information exchange; it is my privilege to invite you to join us to be part of this grand occasion to share your research, services and products with scholars, policy makers and practitioners from across the world with a direct interest in food safety management. We are exceptionally proud and grateful of hosting this significant event that shoulders the responsibility and commitment to safeguard the greater good of society. Taiwan has placed tremendous effort in recent years into food safety regulation and resource allocation. Food safety is a highly concerned issue for Taiwan from government to everyday citizens. We are very passionate and eager meet the standard of international pioneer of this regard. 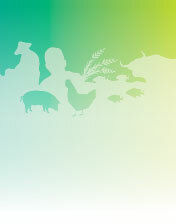 We have dedicated ourselves to the result of this conference and confident it will be the premier food safety conference that you should never miss in 2013. We look forward seeing you in Taipei!